ADDED! Welcome message option for home page. ADDED! Light theme skin option. ADDED! Full width page template. 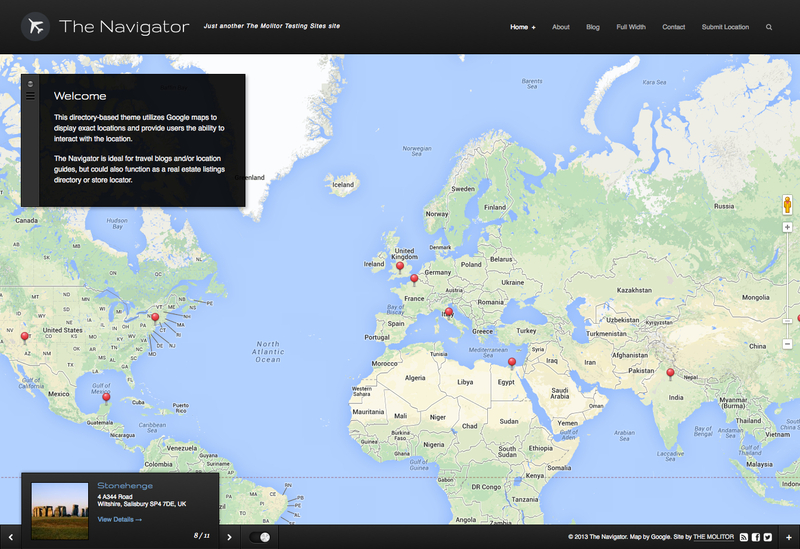 * Added: support for new Google Maps API requirement. * Fixed: search button option now accessible from the "general" section on Customize page. * Improved: Better gallery support for ZoomBox plugin. * Improved custom post options code. * Fixed issue with submission form. * Fixed issue with accordion animation. * Added: Retina ready support. 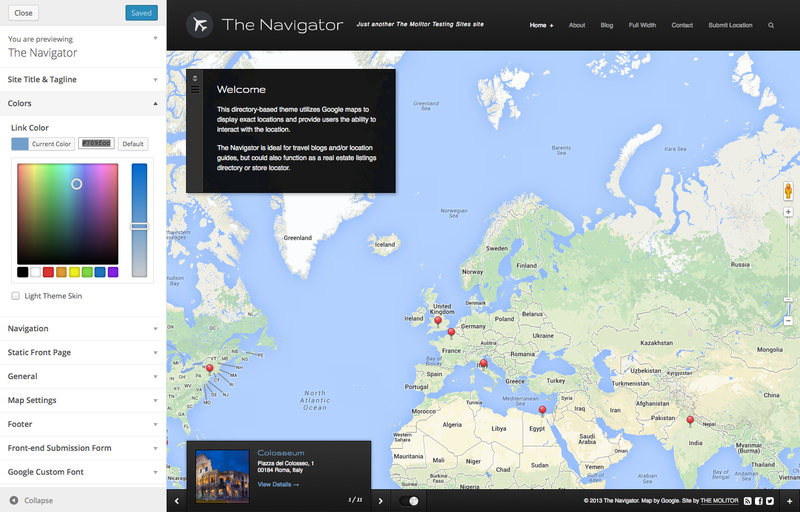 * Added: Street View support. * Added: Welcome message option for home page. * Added: Full width page template. * Added: Font Awesome support. * Added: Menu search feature. * Added: Additional social icons. * Added: Zoom level option for home page. * Added: Sub category support for blog. * Updated: Post sharing options. * Updated: General Code optimizations/improvements. * Fixed .POT file errors. * Fixed long/lat data usage for users updating from 1.6.1 and older. * Fixed Google Chrome loading issue. 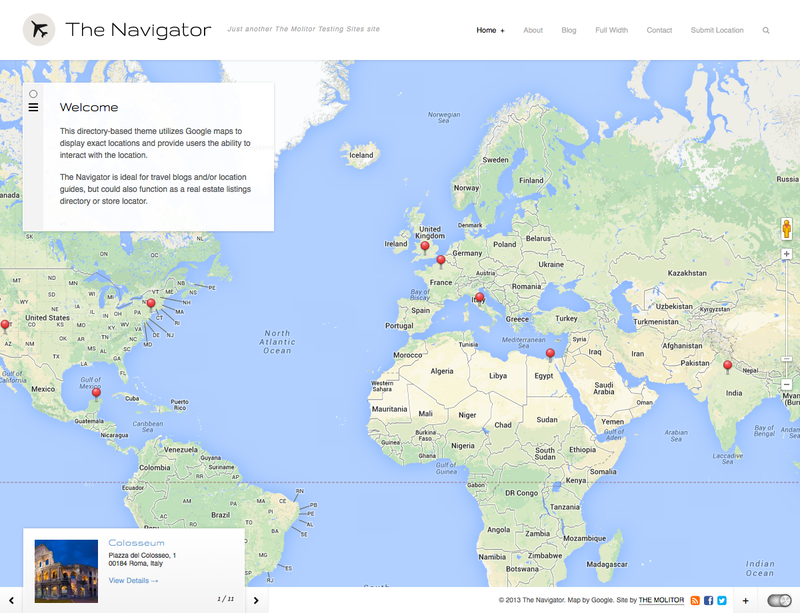 * Added: Google zoom controls on map (replaces previous zoom buttons). * Minor bug fixes and improved map listing performance. * Updated: added theme customizer support (removed OptionTree system). * Fixed: marker labels appearing by default. * Fixed: duplicates in POT file. 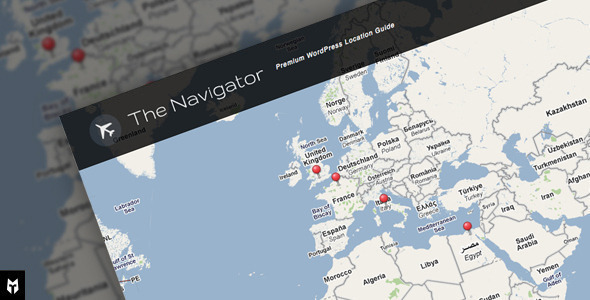 * Added: Theme localization support. * Updated: jQuery UI to version 1.9.2. * Added: captions to lightbox pop-up. * Added: Custom marker option (site wide & individually). * Fixed: Twitter sharing username issue. * Fixed: Custom toggle hover effect color. * Fixed: Reported issue with iPad. * Fixed: Reported issue with menu spacing.